Executive House Condos of St. Louis, MO | 4466 West Pine Blvd. Executive House Condos feature a 24/7 doorman, heated pool and all utilities are included in the monthly HOA dues. 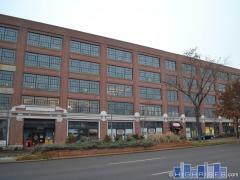 Executive House is within walking distance to numerous shops, restaurants and the WU Medical School. Hi Tiana. We are a real estate brokerage. We would not be able to help you with background checks.